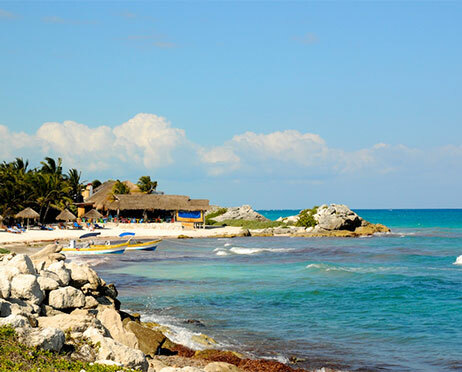 The Riviera Maya is the perfect place for a romantic hideaway, where you can do extreme sports or enjoy the coolest nighttime entertainment. 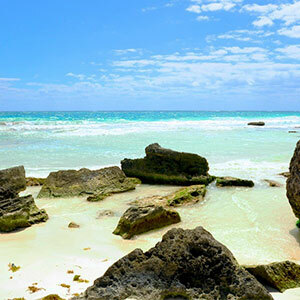 Experience the Caribbean at its fullest, surrounded by magic places like the Sian Ka'an Nature Reserve, the Tulum archaeological site and hundreds of natural cenotes (sink holes that harbor several plant and animal species). This area has become a first-class destination for foreign and domestic tourists, who come here for its unique geographic conditions, embracing diverse environments. 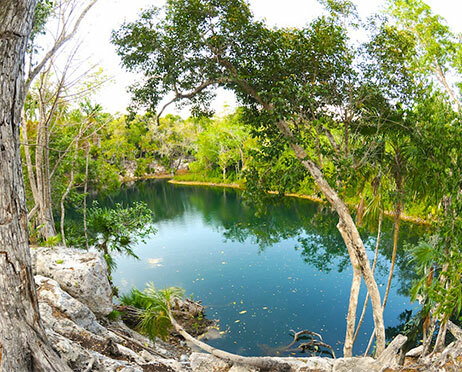 There are jungles, rivers, subterranean rivers and cenotes to savannas, lakes, lagoons, mangroves, and of course the incomparable turquoise blue sea that turns silver, in the light of the moon. 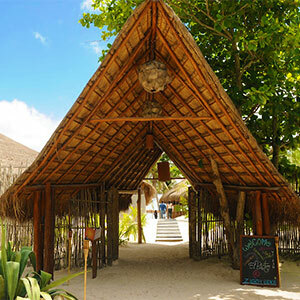 Enjoy the gorgeous soft white sand on the beaches, several of which are still virgin and isolated. 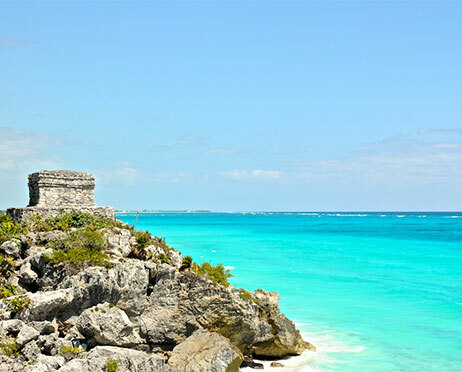 There is plenty to do in the Riviera Maya. Frequent theme parks. 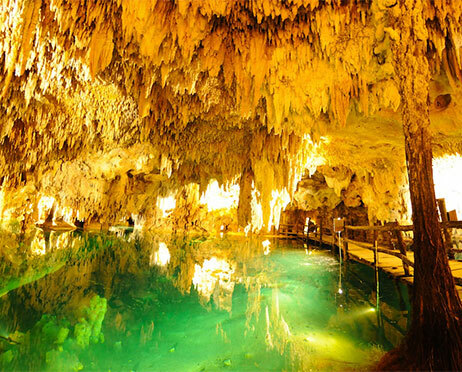 Take part in eco-touristic activities and extreme sports. Attend golf or tennis tournaments. 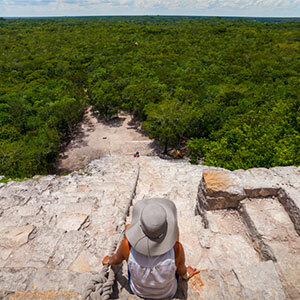 Take a hiking trip to the jungle or go and visit the archaeological treasures of the Maya Towns.